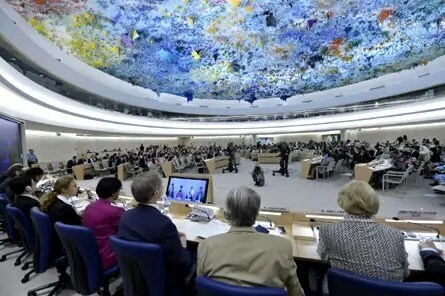 In the lead up to the Malaysia’s Universal Periodic Review, a delegation from Suaram (Suara Inisiatif Sdn Bhd) under the accreditation of Aliran (Persatuan Aliran Kesedaran Negara) attended the United Nations Human Rights Council in Geneva last week. The group submitted an oral statement as part of the Interactive Dialogue on the Situation of Human Rights Defenders urging the Malaysian Government to allow the Special Rapporteur Ms Margaret Sekaggya to carry out an independent inquiry. The statement touched on the intensified threats against Bersih steering committee members, native rights defenders in East Malaysia, Lynas activists and the ongoing harassment and intimidation against Suaram. The group also submitted an oral statement as part of the Interactive Dialogue on Freedom of Religion or Belief. The statement highlighted a number of cases where freedom of religion was not respected, in relation to the ability of individuals to decide which faith they wished to practice. It highlighted how children in Malaysia are often exposed to religious instruction against their will, citing the example of the Orang Asli children who were slapped by a teacher at a school in 2012 for not reciting the doa (Islamic prayer). It also covered the controversial “Allah” issue and the bureaucratic obstructions that non-Muslims often face when constructing a place of worship in Malaysia.